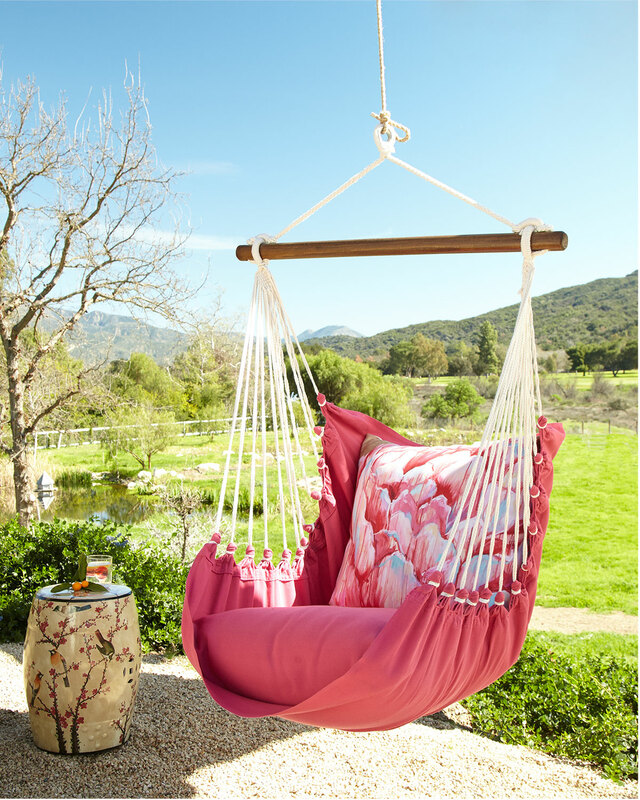 This Pink Swinging Chair is the perfect place to relax. The handcrafted indoor/outdoor swinging chair with pillows is made of polyester but feels soft like cotton. Machine washable pillow covers. $225. Free shipping. Buy here.